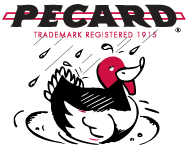 Pecard’s Motorcycle High Gloss Spray was developed for leather that has a micro-thin polymer coating on the surface. This coating has very small fissures on the surface that collect dirt and dust, dulling the shine. After cleaning, the lotion fills these fissures, restores the shine, and replaces moisture back into the polymer to prevent cracking. 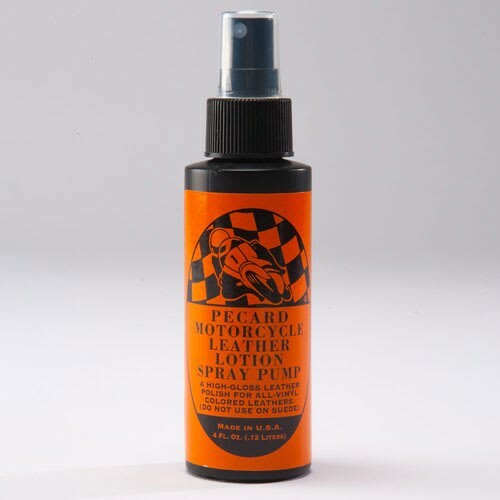 Our water-based formulation is a high gloss leather polish and conditioner for leather that needs a high gloss appearance. Wipe down the leather with warm water and a pH-neutral cleaner before application. Make sure to rinse all the soap off the leather before applying the high gloss spray. Shake the bottle well before using. 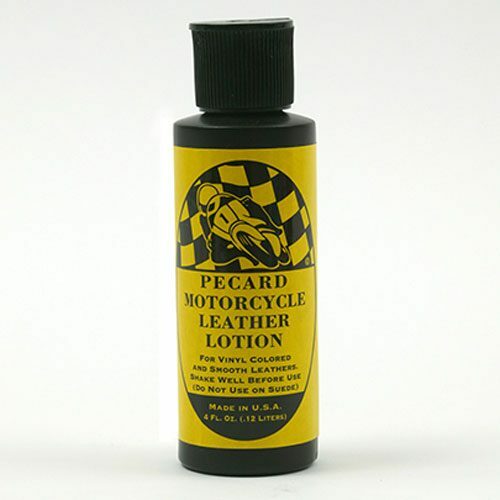 Spray the lotion directly on the leather in several thin coats rather than a single, heavy coat. Let dry. Rub in with a soft cloth between coats and let dry. 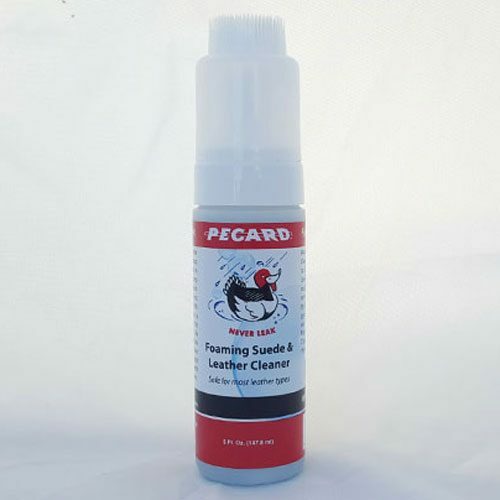 Gently buff the leather with a dry soft cloth to achieve a glossy appearance. Reapply as needed.